Yesterday the wildly popular website Proper Kid Problems kindly gave us a shout-out, and so we’re returning the favor with a little post aimed at the college guys out there. 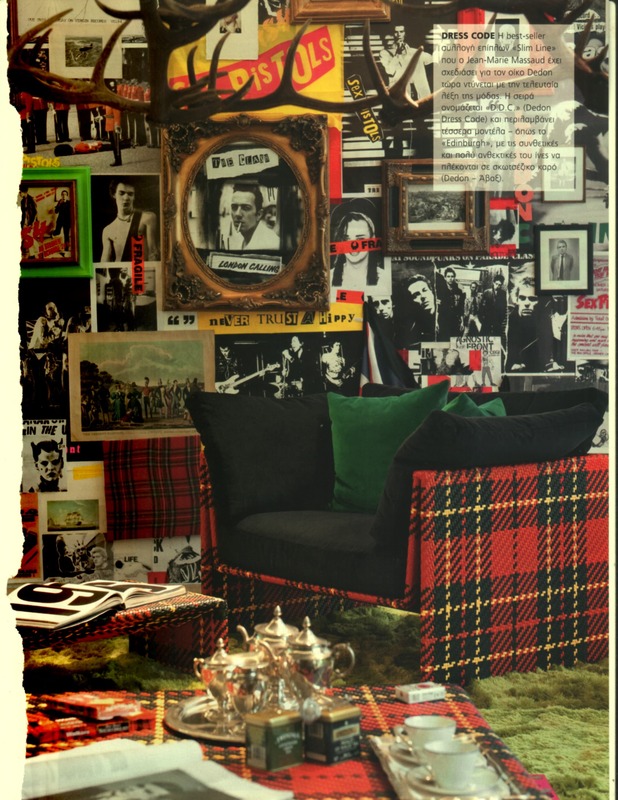 I saw this page in a design magazine and thought it would provide some affordable inspiration for a dorm room — assuming you like vintage punk rock and Anglophilia. As a side note, according to “The Official Preppy Handbook” there is a punk-prep connection. Whether or not this was true in 1980, it certainly can be right now. First, get some punk rock posters and tear-outs from magazines and plaster the walls with them. Then, for contrast, do a Google Image search for random bits of Anglophilia — The Duke Of Wellington, The Tower of London, The Tenth Hussars — download the JPEGs and send them to the printer. Then affix to the walls alongside Sid Vicious and Johnny Rotten. Raid your local thrift store for an old tea pot and some cups. Lipton will probably be your lowest-cost option for the actual tea. Finally, for the tartan element, get a blanket to cover the bed. For additional pops of tartan (“pop-tarts”), leave your boxer shorts scattered all over the place. It is dorm room, after all.